Marmaris is considered to be one of the best Turkish resorts. It is known worldwide. And thousands of tourists come to visit it every year. The popularity of Marmaris is undisputed. It is so because the city has a huge amount of entertainments to offer. 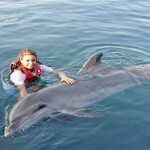 One of the most popular activities in Marmaris is swimming with dolphins in Marmaris dolphinarium. 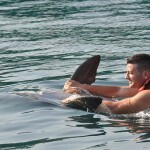 Have ever met dolphins? Have you ever touched them? If no, you missed a lot. But don’t feel sorry. 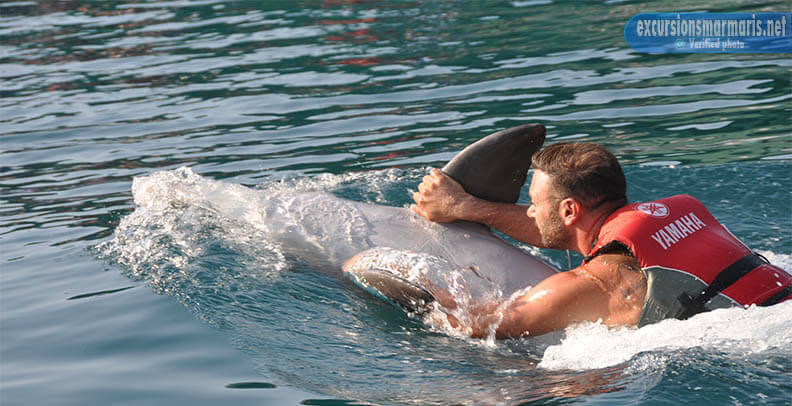 Just visit the doplphinarium in Marmaris and try what it feels.Dolphins are very graceful and kind mammals. They are always ready to get and to give a portion of tendernness. The dolphinarium functions during the whole year. 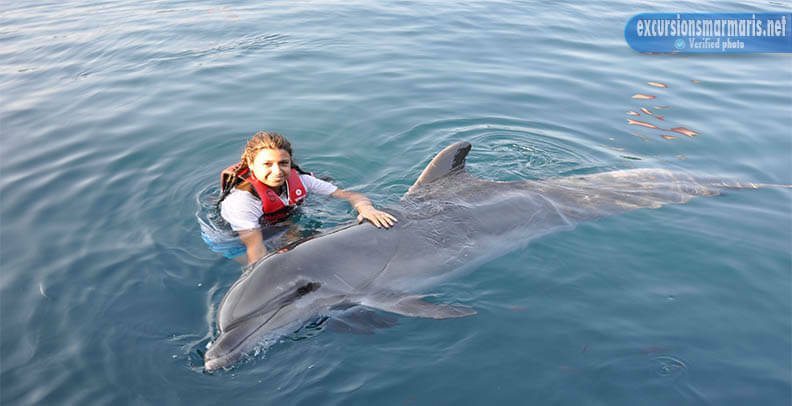 Whenever you are in Marmaris, don’t miss a chance to have a swim with these amazing creatures. 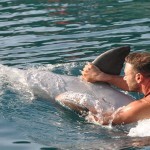 The dolphinarium is about 15-20 minutes drive from the very centre of Marmaris. It is situated not far from the sea shore. The dolphinarium is a nice place to visit for both children and adults. 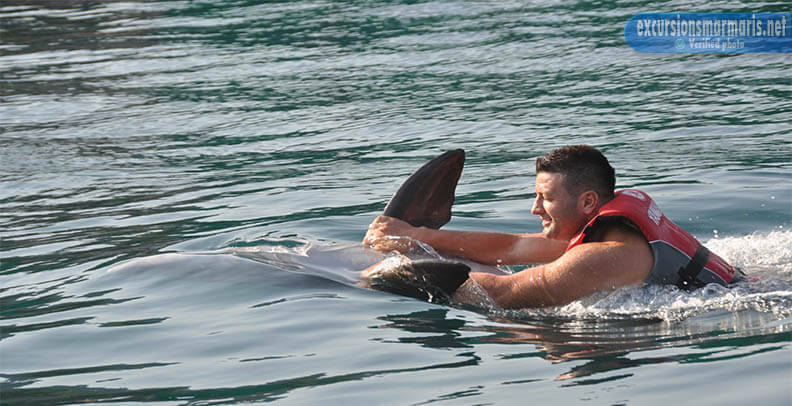 There is no denying the fact, that communication between people and dolphins has a very positive effect on the condition of people’s emotional state. The swimming program starts early in the morning at 9.30 o’clock. The duration of it is about 45 minutes. In a high season, especially in summer, it is not easy to buy tickets for a swim. It is so because there are a lot of tourists who want to participate in this activity. If you don’t know how to get to the show or you hate crowds of people queueing,we can help you. We have online booking service that is very simple. Book a date for you, and the tickets will be sent via e-mail. It is better to book three days beforehand. We don’t book tickets by phone. At the end of the session all the visitors are offered photos that are taken by professionals. Also we guarantee you that our kind dolphins won’t harm you. They are well-trained and behave in a proper way.